The Feldenkrais Method® is an educational system centered on movement, aiming to expand and refine the use of the body through awareness. Continue reading…. 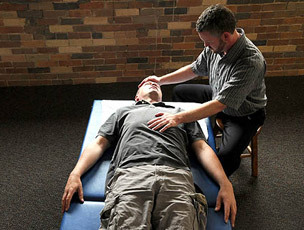 Functional Integration® is an individual approach tailored to the particular needs of the client. The practitioner observes how a client walks, sits, and moves and assesses what the client needs to work on. For more information, click here. Subscribe to the Free Feldenkrais Method® Guide Newsletter to get articles and we'll GIVE you a FREE 5-part course on How To Sit With Greater Ease and Comfort as our way of saying thank you for joining us. Your email address will be kept private and not shared. © 2019 Feldenkrais Method Guide. All Rights Reserved.